A customer recently mentioned that Contra Costa Door was a highly rated garage door installer on Consumers’ Checkbook for the San Francisco Bay Area. On 03-01-2019 Contra Costa Door was top of the list. Consumers’ Checkbook is published by the Center for the Study of Services, an independent, nonprofit consumer organization founded in 1974. It has for more than 40 years been an innovator in providing information to help consumers make smarter choices. Checkbook surveys consumers and evaluates the quality and prices of local service providers and products, and reports its findings online and in regional magazines in the Washington D.C., Boston, Chicago, Minneapolis, Philadelphia, San Francisco, and Seattle metro areas—and, for some services, nationally. Checkbook also provides comprehensive advice to help people save time, money, and hassle. planned electric outage due to PG&E maintenance; therefore our showroom will be closed Saturday 03-02-2019. Northwest Door’s Aluminum Infinity Classic with Dark Cherry Powder Coated Finish can now be seen at our showroom. 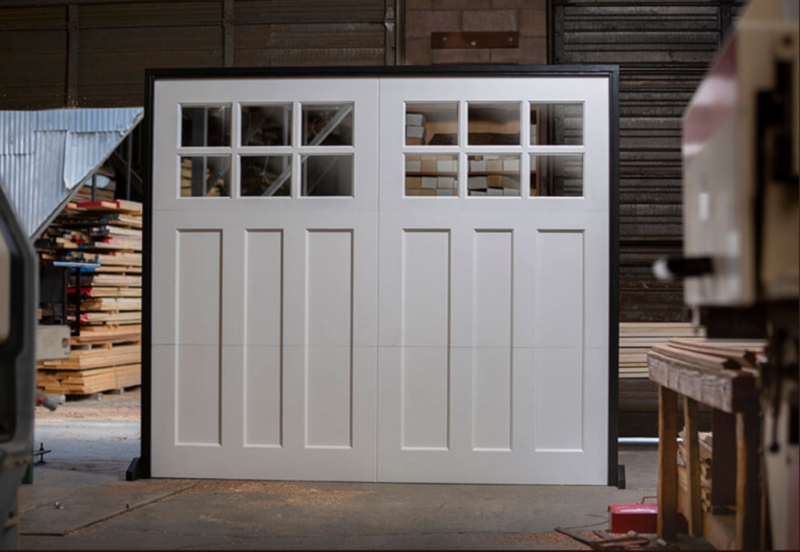 Northwest Door has combined the elegance of a wooden carriage house style door with the latest manufacturing technology to create the new all-aluminum Infinity Classic™. Infinity Classic’s weather resistant durability is unsurpassed and with proper maintenance will virtually last the life of your home with “Everlasting Elegance”. Infinity Classic’s wood grain powder coated finishes look so lifelike you can’t believe they’re not real wood. The return of curb appeal. According to a report at Remodeling.com a garage door replacement project in 2019 costing an average of $ 3,611.00 has a value of $ 3,520.00 which is a whopping 97.5% CvV ( Cost vs. Value ) Similarly a major kitchen remodel might have, according to Remodel.com, 59.7& to 62.1% CvV and a bathroom remodel 60.2& to 67.2& CvV. The smart move seem to point toward replacing the existing garage door with a door that has a bit more curb appeal. If you are unsure about which products are best for your property, visit our showroom in Concord. Our fully functional models can give you a better idea of what you want. Please contact us at (925) 326-3804 to request more information about our high quality services and products at Contra Costa Door. Example: Remove and dispose of existing 16×7-foot garage door and tracks. Install new four-section garage door on new heavy-duty galvanized steel tracks; reuse existing motorized opener ( must have integral battery backup after June 30th 2019 / SB969 ). New door has a limited lifetime warranty ( see salesman for details ), and is made with high-tensile-strength steel with factory-applied paint or primed, is foam insulated to minimum R-9.65. Windows in top panel are 1/8″ glass. Hardware includes galvanized steel hinges and bushing type or ball-bearing urethane rollers. Not sure what to do? To many choices? Confused? Call Contra Costa Door and we will walk you through the process. We’ll make it easy. 925-326-3804. Looking for just the right “curb appeal” while ensuring a durable garage door and garage door opener along with trained professionals to install it & provide repair services? 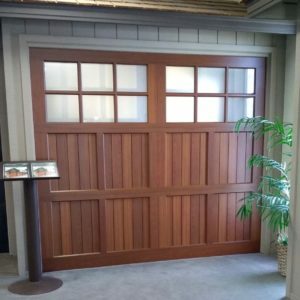 At Contra Costa Door, we offer a selection of high definition steel, wood, aluminum and composite sectional garage door products and services like spring repair and replacement transmitters for commercial and residential properties throughout the Bay Area. Our trained and experienced technicians provide the highest quality of customer service to ensure your needs are met. Feel free to contact our knowledgeable representatives at (925) 326-3804 to request a free estimate today! Receive a free Smart Home Pack with purchase and professional installation of select Wi-Fi® garage door openers and myQ® account activation. Select garage door opener models include WLED, 8500W, 8550W, and 8355W. Offer good through March 15, 2019. Click here for more information and the rebate coupon. Valid with sales receipt (proof of purchase) dated 2/4/2019 – 3/15/2019, and must include model number, purchase date, along with Dealer name and address. Offer may consist of monetary and/or non-monetary (product) components. Any monetary component of offer will be paid in U.S. funds. Include dated (2/4/19 – 3/15/19) sales receipt with purchase price, model number and date circled. (Dealer name and address must be visible.) Mail both completed order form and sales receipt to the address below, postmarked by 4/12/19. This order form must accompany your receipt and may not be copied, traded or sold. MUST BE POSTMARKED BY 4/12/19. Out-of-area or noncompliant requests will not be returned. Limit one consumer entry per garage door opener purchased and professionally installed. Void where prohibited, taxed or restricted. Entry void for groups, organizations and unauthorized retailers. Order form may not be used in connection with any other offers. Please allow up to 6–8 weeks for delivery. **All prices USD. Premium offer requires purchase of select garage door openers by 3/15/19. Professional installation must be performed by 4/12/19. 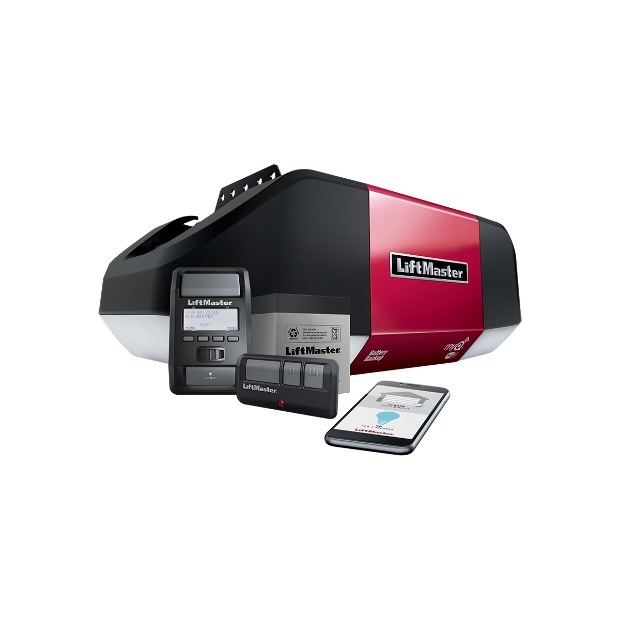 Order form must be postmarked or submitted online at LiftMaster.com/Promo by 4/12/19. See above for qualifying models and details. Chamberlain and its agencies are not responsible for late, lost, stolen, corrupted, damaged, misdirected submissions, undeliverable items, or for technological errors of any kind in conjunction with offer participation. Items will only be delivered to a street address in the U.S. or Canada (excluding Quebec), no P.O. Boxes. Chamberlain’s decisions regarding offer participation is final and binding. Receipts cannot be traded, copied or sold. Get deliveries in your garage. SEATTLE–(BUSINESS WIRE)–Jan. 7, 2019– (NASDAQ: AMZN)—Amazon today announced new products, features and services supporting Key by Amazon, which puts security, convenience, and control in the hands of customers to offer one common benefit that everyone can enjoy—the magic of being key-free. New offerings include the all-new Schlage Encode Smart Wi-Fi Deadbolt, the first WiFi-enabled smart lock for Key; Key for Garage with Chamberlin Group (CGI); compatibility with the Ring app for access control; and Key for Business, a smart fob for drivers delivering Amazon packages to commercial and residential properties. Key for Garage will allow any customer to monitor and control their garage door via the Key app. Also, in addition to receiving deliveries at home and in your car, eligible Amazon Prime members will soon be able to get deliveries in their garage. Key for Garage is made possible by integrating Key with CGI’s proprietary myQ-connected technology. Read more about Key for Garage here. Get your packages delivered safely inside your garage when you are not home. On September 21, 2018, California Governor Jerry Brown signed Senate Bill 969 into law. This legislation requires newly sold or installed garage door openers in residential applications to have battery backup. In 2017, California had its most destructive fire season with widespread power outages that made it difficult and/or impossible for some to escape. When loss of electricity occurred, garage door opener operation was impacted and deaths were attributed to homeowners becoming trapped because they were unable to open their garage door manually. This law applies to new garage door and garage door opener installations. Homeowners will need to install a battery backup opener when a new door is installed or when they replace their existing opener. Existing openers currently in use will not need to be replaced with battery backup openers unless the door is being replaced. On or after July 1, 2019, no person, corporation, or entity shall manufacture for sale in this state, sell, offer for sale at retail or wholesale, or install in this state a residential automatic garage door opener that does not have a battery backup function that is designed to operate when activated because of an electrical outage. Failure to follow this will result in a civil penalty of $1,000 per opener installed and operational.